The first step towards a blooming healthy smile is to schedule an appointment. Please contact our office by phone, email or complete the message / appointment request forms below. 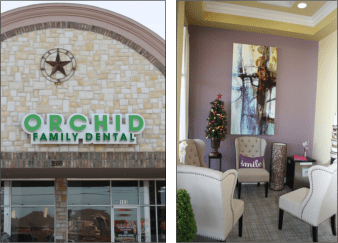 Our scheduling coordinator will contact you to confirm your appointment for Dental Services in Richardson Texas. If you are an existing patient, this contact form should not be utilized for communicating private health information. If this is the first time you have visited our office, the mapping service below will assist you in finding our location. Simply fill out the form below and you will be presented with the directions that include a map, the travel time and distance. If you need any additional information, please contact our office at 972-424-3555.